Castle Clash 1.5.5 Apk + Mod/Hack for android Castle Clash Apk Is Best Strategy Game. 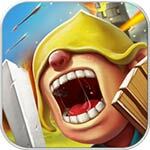 Download Castle Clash Apk + Data + Mod For Android From Revdl . Castle Clash is.. Clash of Lords 2 1.0.281 Apk + Data Android Clash of Lords 2 is a game in which players control and manage a city full of defenses. Gather your forces..
Imperia Online – Strategy MMO 6.8.11 Apk + Data for android Imperia Online – Strategy MMO is a Strategy Game for android download last version of Imperia Online – Strategy.. Seasons of War 6.8.11 Apk + Data for android Seasons of War is a Strategy Game for android download last version of Seasons of War Apk + Data for android.. Clash of Clans Apk 11.446.20 + New MOD + Clash Bot VIP android Download Clash of Clans is a best strategy game for android. this is online game. Free Direct Download..
Throne Rush 5.12.0 Apk for android Throne Rush is a strategy game for android download last version of Throne Rush Apk for android from revdl with direct link Throne Rush is a..